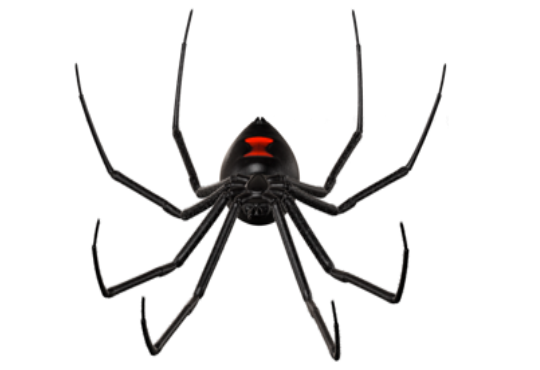 Female black widows are about ½” long, black with a red hourglass marking on their underside. Webs are irregular. One egg sac can carry 150 eggs (disperse through ballooning). Their bites are toxic. If bitten, seek medical attention. Bites can be deadly to humans. 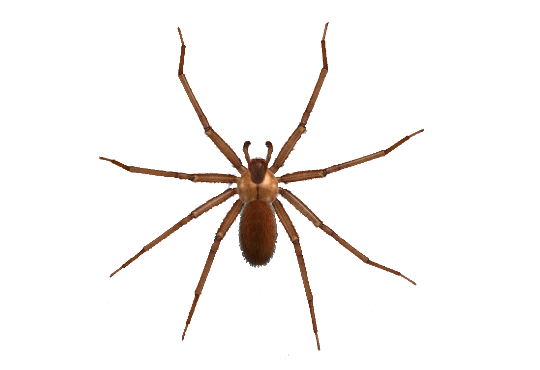 The venomous brown recluse, with a dark brown fiddle-shaped marking is about ½” long. They feed upon soft-bodied insects. They hunt prey at night. At sunup, they drag their food to spun, irregular, off-white webs in dark, secluded areas. Can live up to 3 years. If bitten, seek medical attention. 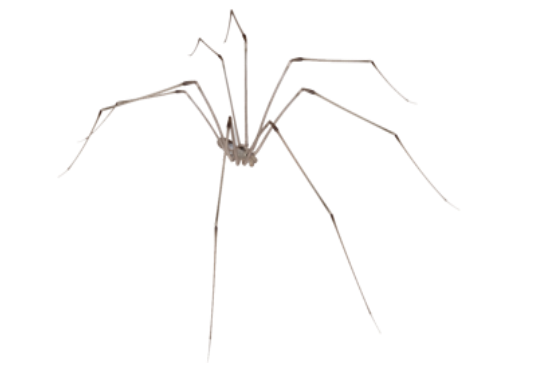 Daddy Long Legs are NOT spiders (or even insects) at all! 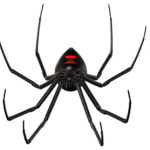 They are part of the Arachnid family, but in a different class. They are, infact, called Harvestmen. 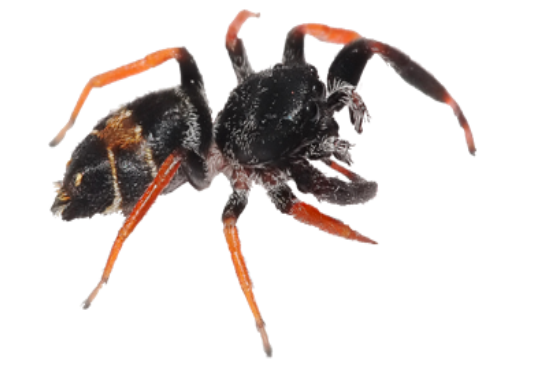 They have 3 body sections, not two like spiders, and their legs have seven sections which they can break off to surprise or distract a predator. The Hobo is ⅜ – ⅝” long with long legs. Sometimes difficult to distinguish from the common house spider. 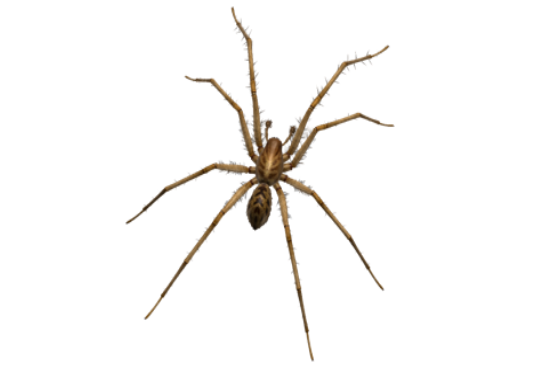 Bite is similar to Brown Recluse bite and can be deadly. Makes a funnel web, which is not used to capture prey. If bitten, seek medical attention. Jumping Spiders are generally active hunters, which means that they do not, as a rule, rely on a web to catch their prey. They use their superior eyesight to distinguish and track their intended meals, often for several inches. They pounce and administer a venomous bite. They’re large, brown, and hairy ranging from ½ – 2” in length. They look much scarier than they actually are. 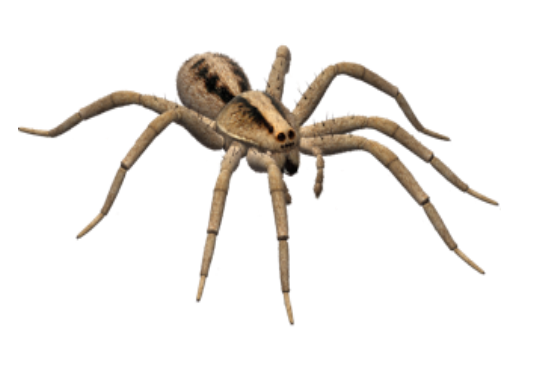 Wolf Spiders aren’t typically associated with webs. Inside homes, they often hang out near windows, doors, house plants, or storage areas.